← “Growing Up…” 31 Chapters are Finished! 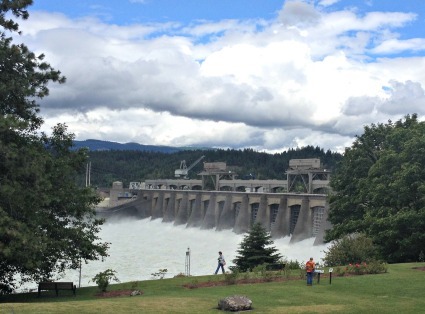 Bonneville Dam, June 2014. I took this photo on a trip with my 3 granddaughters. I spent some formative years as a child living close to the Columbia River and I draw on that in my upcoming book, Growing Up With G.I. Joe’s. I wanted to share with you an interesting site about the Columbia, fishing, and Native Americans. It is the website for Columbia River Intertribal Fish Commission.